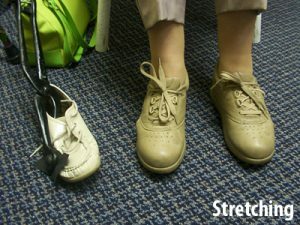 These can be a simple as lacing techniques to the more complicated shoe lifts. These are needed when the present shoe or a suitable over-the-counter shoe doesn’t come with all the required characteristics needed and a custom-made shoe from scratch isn’t affordable. 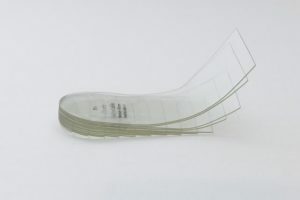 Tongue pads, excavations, stretching, flares, buttresses, rocker soles, elevations, lacing to Velcro conversions are some of the more common modifications. 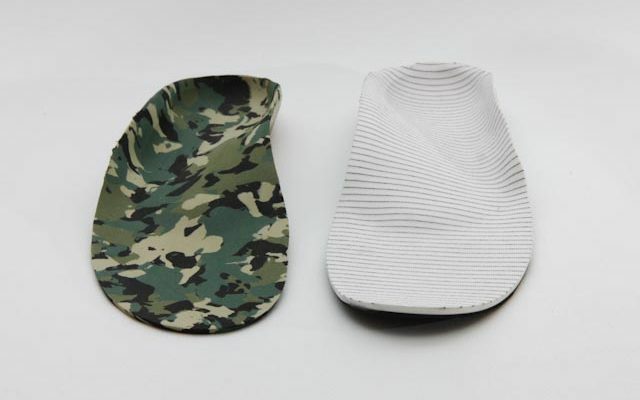 Tongue pads can be used to cushion the instep, decrease the depth of the shoe or help excavate relief pockets for prominent foot bumps on the instep. Excavations can be done internally on the shoe platform that the foot rests upon. 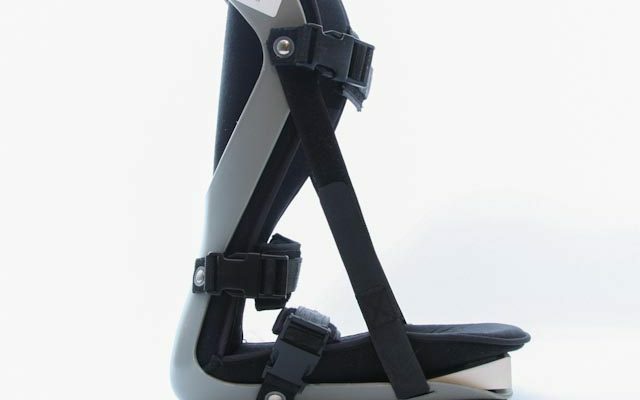 These are necessary when the orthoses are not able to relieve enough pressure by themselves. Examples would be for dropped metatarsal heads, midfoot collapse as with the Charcot foot. Stretching of the shoe on the upper is common for hammer toes and bunions. 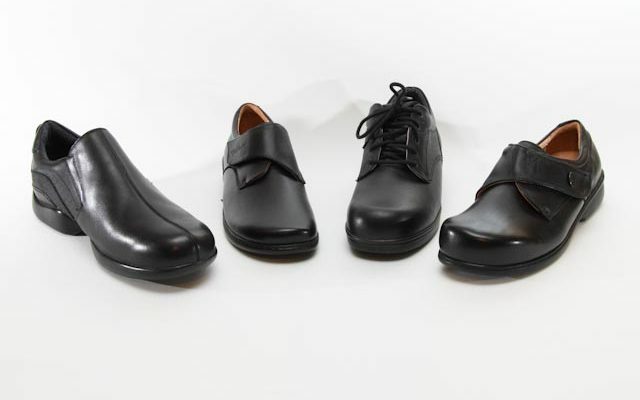 The stretch is most successful when wetted and when done on an all leather upper where no seams or stitching reside. Some thermomoldable uppers are designed with this in mind and when carefully heated can be shaped into the desired fit. Flares are an external sole widening technique that can widen the base of whichever side of the shoe requires it. Most common material used is EVA (ethyl vinyl acetate) which is easily moldable, grindable and comes in different densities and colours. Buttresses are very similar to flares but continue further up the shoe to cradle the shoe upper for more stability. Rocker Soles vary for their purposes. A rocker is decreased thickening of the plantar surface of the shoe sole to aid in forward or backward roll as seen on a rocking horse. When added to the shoe they are usually done on both shoes to prevent height variations. A heel rocker can decrease foot slap that occurs with a rigid squared heel. Most runners have this naturally for increased shock absorption and decreased foot whiplash into pronation. When rockering is done at the toe of the shoe it can aid those with limited extension of the large toe when pushing off or when extension of the toes causes pain for the patient. The flex point of the rocker starts where the big toe joint is. Rockering back towards the middle of the shoe causes more instability for the patient but helps to decrease load on the heel and forefoot areas and aids those with fused ankles. The new full rocker sole types as seen in the MBT or Sketcher shoes suggest that it simulates a more natural barefoot movement creating more active musculature to strengthen the feet and torso. These are contraindicated for those with present balance issues. Elevations or lifts are used to balance leg length discrepancies in patients. 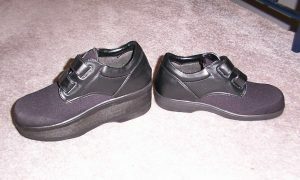 They are done on one shoe only and can be elevated full sole or heel only or a combination of both. The patient should only do this when functional (non-structural) leg length differences can’t be accommodated for such as with physiotherapy. Most people are born with small structural differences that the body can adapt to without discomfort. When the true (structural) leg length difference cannot be adjusted to consideration must be made as to how long the patient has gone without the height difference. It is suggested to start with ½ the measured difference and slowly raise the height. If for example someone recently broke their leg and lost some leg length, the full amount would be added full sole to the shoe right away. Often clients lift the heel only inside the shoe for convenience and cost issues but this may cause trouble at the pelvis since it is now rotated forward more on the lift side. Eventually the lift has to go externally since the height needed is too much for the shoe to keep the heel from popping out the back. 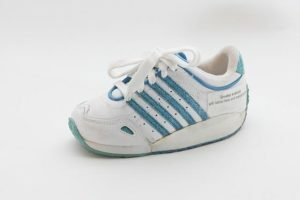 Velcro conversions may be needed if the client has difficulty lacing his shoes but doesn’t want to buy new shoes with Velcro or can’t find a suitable Velcro shoe. 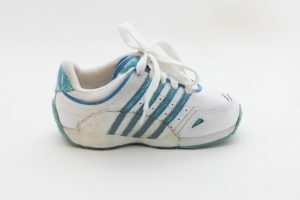 Sometimes lacing changes to elastic or spring laces are convenient. The Adjustable Plantar Fasciitis Night Splint features adjustable straps that control dorsiflexion and limit the ..